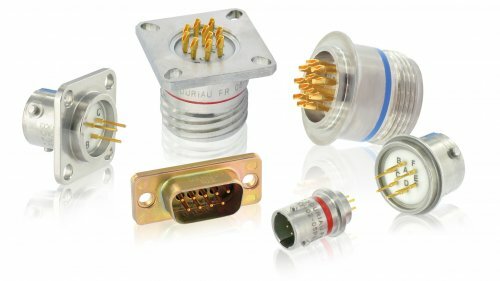 In the category of hermetic connectors destined for use in harsh environments and especially in civil and military aeronautics applications, SOURIAU offers a very wide range of products compliant with numerous standards such as EN3646, EN2997 and MIL-DTL-38999. The hermetic connectors benefit from the advantages of their specific technology, manufacturing process and quality control. In the exclusive world of the aeronautics industry, SOURIAU has a reputation for listening to its customers’ needs, maintaining a high level of manufacturing quality and operating a remarkably efficient logistics organization. This organization ensures that lead times and delivery dates world-wide are scrupulously respected, either directly or through the network of authorized distributors. Thanks to their product stock, distributors are in a position to supply connectors for equipping prototypes or for maintenance requirements.